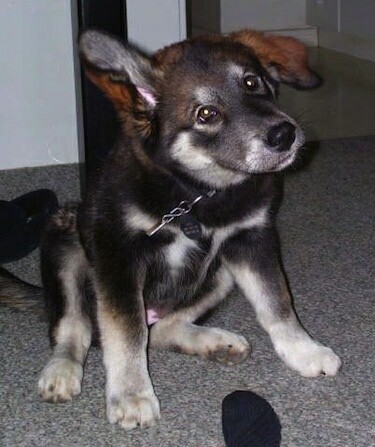 "This is Lexa as a puppy. 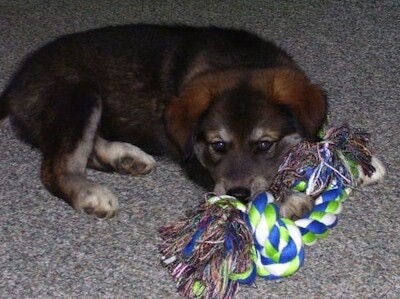 Her mom is a Chocolate Lab and her dad is an Alaskan Malamute. She loves to swim and carry her stick around and walk through Whistlervillage with her proud owners." 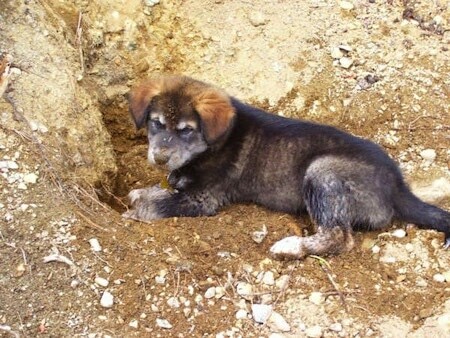 The Alaskan Malador is not a purebred dog. 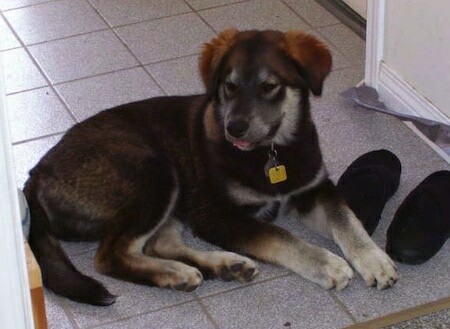 It is a cross between the Alaskan Malamute and the Labrador Retriever. The best way to determine the temperament of a mixed breed is to look up all breeds in the cross and know you can get any combination of any of the characteristics found in either breed. Not all of these designer hybrid dogs being bred are 50% purebred to 50% purebred. It is very common for breeders to breed multi-generation crosses.